Smoothie Concentrate, (must first be diluted with HOT water before use). 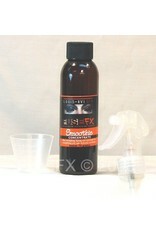 A non inhibiting, water based spray-on lubricant for smoothing out wet Silicone surfaces... what? 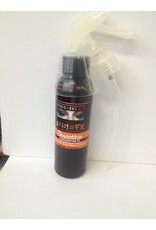 Smoothie is an excellent solution for repairing seams in silicone. If you make silicone molds or do "mattress foam" sculpting and you want to give it a silicone coating, this great little stuff can save you loads of work, time and money. How Smoothie works: Repairing seams in silicone: Smoothie repels silicone and does not dissolve the silicone like alcohol or solvent does. Simply spray over wet thickened silicone and shape with tools as usual to desired form. 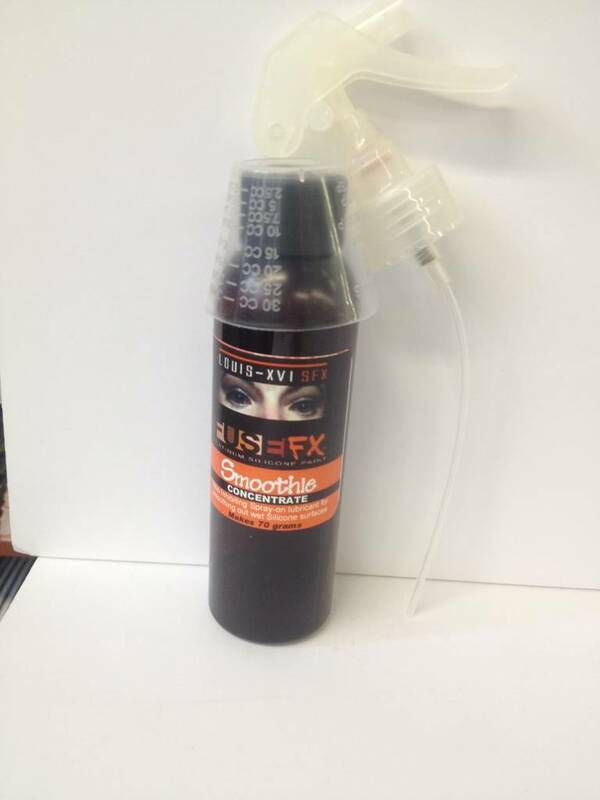 You can also dip or spray your tools for additional lubricating. Let the silicone cure and wash off with warm water to add more fresh silicone if needed. Smoothie MUST be washed off between silicone coats. Smoothing out the final wet coat on a silicone mold: Build-up your silicone mold as usual until you achieve the desired thickness. While the final coat of silicone is still wet, spray a liberal amount of Smoothie over the wet silicone and with a soft foam brush, lightly stroke the wet silicone to create an even surface. Add more Smoothie if necessary. Let silicone cure. Once the silicone is cured, wash off Smoothie using warm water and let dry. For coating over soft porous Urethane foam or Ã¯Â¿Â½Ã¯Â¿Â½Ã¯Â¿Â½mattressÃ¯Â¿Â½Ã›Â foam: Mix and thicken a batch of silicone. Spread a thickened coat of silicone over the foam surface to create a thin skin. Let cure. Next, mix another batch of thickened silicone and apply over the first layer, smoothing out as you go, something like icing a cake. Work fast before the silicone starts to jell. 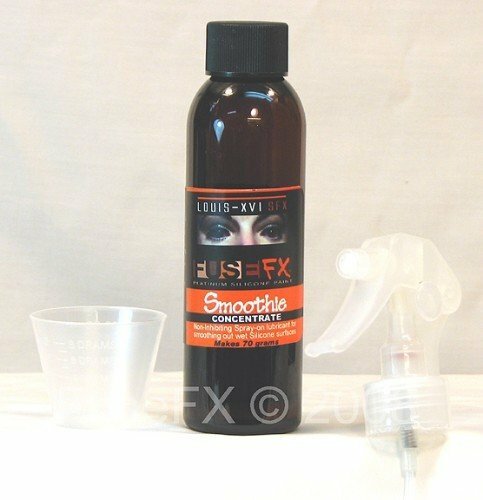 While the silicone is still wet, spray a liberal amount of Smoothie over the silicone surface (use in well ventilated area) and with a soft sponge brush, lightly stroke the silicone to form a smooth even surface. Add more Smoothie if necessary. Let the silicone cure fully. Once the silicone is cured, wash off Smoothie using warm water and let dry. The silicone surface is now ready for the next coat. Smoothie MUST be washed off between silicone coats. Repeat as often as necessary.